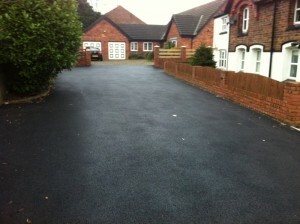 Here at Alpha Surfacing, we consider ourselves one of the leading asphalt companies in Liverpool and the North West. 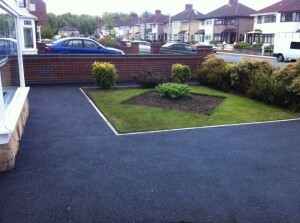 If you are looking for a company that surfaces driveways in Warrington then look no further than Alpha Surfacing. 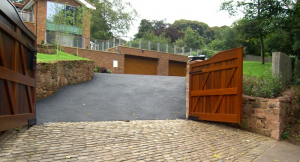 We have one of the most impressive portfolios of driveways to display. Here at Alpha Surfacing we specialise in tarmacadam driveways so if you are interested in getting a one or would like to find out more about the tarmacadam driveway cost, don’t hesitate to give us a call and we can provide you with a free quotation. We make it our priority to provide only the finest quality of work to our customers, and never do anything by half. 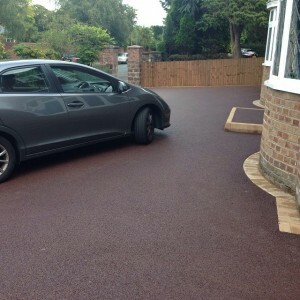 When we install concrete driveways in Warrington, we make it our top priority to make sure that everything goes perfectly and your driveway turns out exactly the way you want it. Most of our business comes from previous customer referrals from our work and word-of-mouth advertising, so we take great pride in our work and great care over its completion – every job is, after all, a permanent advertisement for our services, and only the best will do. 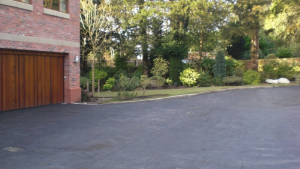 As we are specialists in providing quality driveways in Warrington and the surrounding areas, we have come across projects of all shapes and sizes. So if you have a job that you are worried is too small a task or too big an undertaking for us, just give us a call and we will be happy come out, have a look at what you need, and figure out how we can help you. Our domestic paving driveways provide the ideal entry into any home or garden. Whether you simply want an attractive exterior on which to park your car at night, or want to pave a whole pathway in order to provide parking space for guests, we can help. A smooth, even and spacious block paving driveways makes the approach to your house much easier, either on foot or in a car. Its smooth tarmac is more pleasant for driving on, easier on your car’s wheels and makes a real difference to comfort over uneven paving, bare earth or gravel – and it’s far nicer to walk on, making it a better experience for guests, friends and family alike! 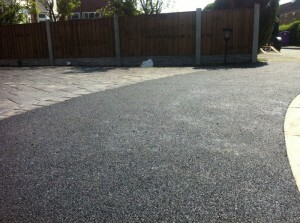 If you have a driveway in Warrington, Liverpool or the surrounding area that needs quality surfacing, feel free to contact us for a quote on 0151 228 5734. Our experience stretches far beyond just building driveways in Warrington. We have also worked on many extensive commercial projects in the Warrington area, including public car parks and schools. We have even served public gardens and town centres. 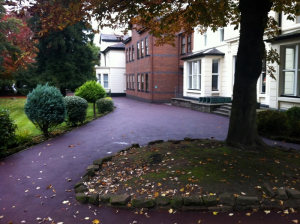 All of these projects require extensive tarmacadam surfacing and the ability to provide an even level of quality and care over a huge work zone, all of which we took in stride to create the perfect paving solution for each situation. These commercial projects also tested our promise to deliver durable, long-lasting results to our customers – a car park sees such phenomenal levels of traffic that wear and tear on it is much more intense than a domestic pavement. Despite these pressures, Alpha Surfacing completed these projects on time and with results the customer could be proud of. We work to deliver a professional, reliable approach to any commercial project. Whether you are a private business or a public authority, we can provide the right resin driveway, parking or surfacing solution to fit your purpose. 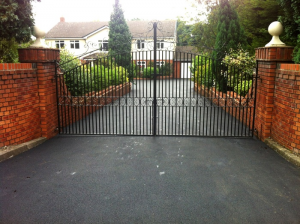 If you’re struggling to come up with good driveway ideas, have a look below at a small selection of the driveways that we have installed in the Warrington area. We will also do our best to make sure the colour and texture as well as the overall driveway design are according to your personal preference. If you like the look of our work give us a call on 0151 228 5734.